It has been a while since I have done a Hambo Challenge and it is great to start back with doing a sketch challenge! Love the simple design of this sketch. It makes it so much fun to use for my card. I turned the sketch on its side. Wonderful job on the sketch! 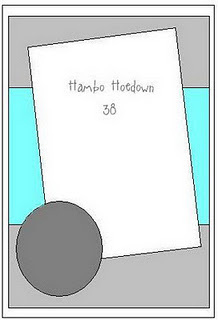 So glad to see you back at the Hoedown! Awesome coloring on your monster~! I love the bright colors. And the Rosette is amazing. I need to learn how to make these. The digi is adorable. Great job! 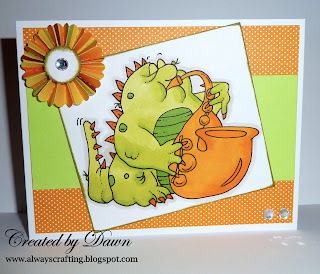 Great job with the sketch and Wow, your coloring is fabulous! Thanks for playing along at the Hoedown! 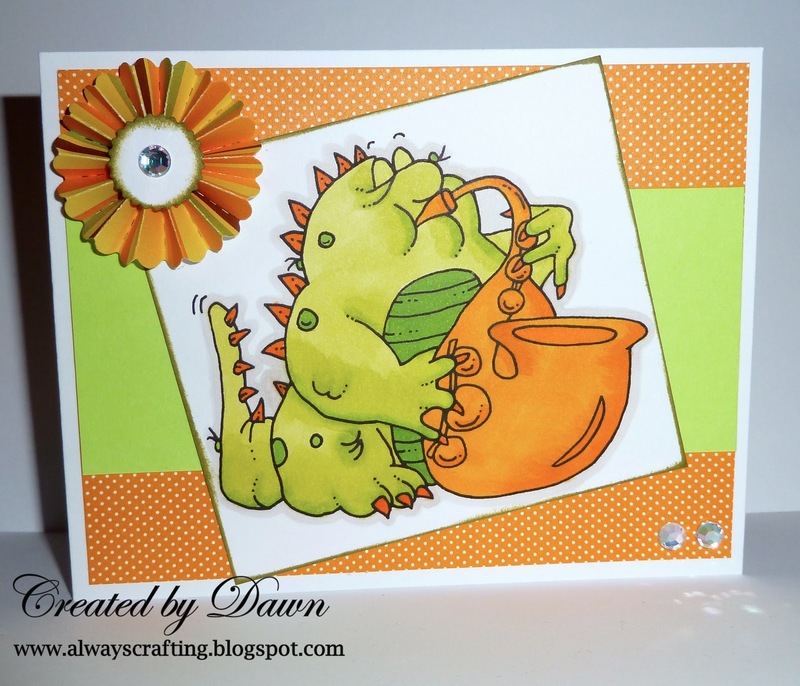 Great card Dawn, fun image and I love the bright colours. no patterned paper... what to do?